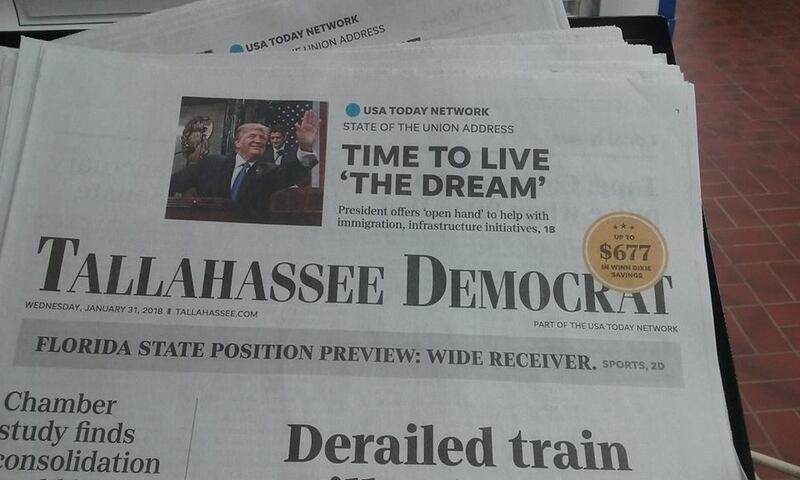 On January 31, 2018, the Tallahassee Democrats headline following the Presidents State of the Union address read that President Trump wants us to Live The Dream. 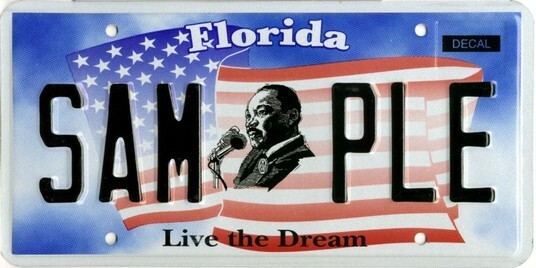 Well in Florida, it seems our leaders are focused on taking the dream away, if you consider the nations first specialty license plate bearing the image of Dr Martin Luther King, the "Live The Dream" license plate. A license plate for which proceeds through the Dream Foundation Inc, goes to the Sickle Cell Disease Association of Florida, the March of Dimes, the State Association of Healthy Start Coalitions and the Community Partnership for the Homeless, has had its proceeds held up by the state for 3 years. Those proceeds have been held up because the foundation itself was a victim of alleged theft. But now, the foundation and the organizations that are primarily focused on addressing critical needs in the minority community are being victimized again. For the last three years, they have been victimized by our government, in its withholding of proceeds. Now, It admits to no longer having any reason to do so. The Sickle Cell Disease Association of Florida is in no way a large organization, and the 25% of proceeds provided to them from the plates sales are not simply passive income, but for them , those monies are critical resources. Today, the Department of Highway Safety and Motor Vehicles has indeed agreed to a way forward, but that way is being held up by process. For reasons that seem mind-boggling, it is suggested that the Department needs the legislature to tell them its okay to release the proceeds that the statute already directs them to provide since the passage of the legislation authorizing the plate in 2004... more than a decade ago. One could hardly argue against the suggestion that this license plate is purchased solely by black Americans. They do so by paying an extra $25 (on top of regular license plate fees) with their hard-earned money at Florida's various tag offices. They do so believing that they are investing back into their own communities. To that point, it is also important to note that of all of the organizations in Florida, The Dream Foundation, through the Live The Dream license plate, is the only organization that is a vehicle for African-Americans statewide to reinvest in their community, while also celebrating the legacy of a man who the world knows as a great humanitarian who made America better live up to its ideals. For three years, the idea of that reinvestment has not been realized. This note is a clarion call to the Black Caucus and all conscientious legislators to step up to the plate and help Senator Rouson and others make sure that the wishes of the Florida Department of Highway Safety and Motors Vehicles, in their good faith, be carried out... and that the resources from the sales be provided where statute dictates once again so that those individuals investing in their communities through its purchase, once again see that investment come full circle. We often talk about "pulling oneself up from his/her boot straps", or lament that minority communities have a duty to reinvest in their own community.... to not depend on the tax payer dollars, but yet, here we have a program that allows communities of color to do just that... and through a lack of desire to simply do the right thing process wise, those efforts are stymied. It is simply a travesty that this has gone on as long as it has, and it's simply time for Florida to truly allow communities of color to "Live The Dream" .